How Often Should You Use Your Credit Card to Keep It Active? Keeping your credit cards open and active is important not only to keep your credit card account open but to ensure that your credit card issuer continues to report your credit card activity to the credit bureaus. Good credit card usage — keeping a low balance and paying on time — will help build a good credit score. But, if your credit card becomes inactive — in other words, you stop using it — your card issuer may stop sending updates to the credit bureaus. If that happens, that account has less impact on your credit score. There’s no hard and fast rule on how often you need to use your credit card. 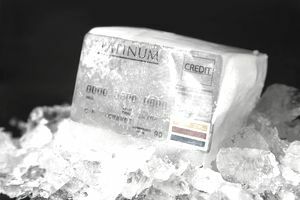 Some credit card issuers will close your credit card account if it goes unused for several months This might be 12 months or it might be two years, depending on the credit card issuer. For example, store credit cards may allow for a longer period of inactivity than major branded credit cards. Even before your credit card gets closed, some credit card issuers stop updating your account with the credit bureaus. As a rule of thumb, you should aim to use your credit card at least every one to three months to keep your credit card open and active and to ensure your credit card issuer continues to send updates to the credit bureaus. If you have several credit cards, it can be tough keeping them active without running the risk of getting into debt. You can divide your credit cards into three groups and rotate using them quarterly. The first group would be used in January, April, July, and October, for example. The next group you'd use in February, May, August, and November. Just because you need to use your credit card often to keep it active doesn’t mean you have to go on a spending spree. It’s important to keep your credit card spending within an amount that you can afford to pay to avoid a situation where you can’t afford to pay your bill. Charge something as simple as a soda to keep your credit card in use. Don’t look for a warning from your credit card issuer that your account is about to be closed or that your account activity isn’t being updated on your credit report. In the case of account closure, you may receive a letter after the account is closed. For inactive credit cards, you don’t get any warning at all about how the account is being reported, or not reported, to the credit bureaus. If you want to know if an unused credit card has been canceled, you can try making a purchase with it or call your credit card’s customer service to ask about your credit card status. If you have too many credit cards to keep in rotation, consider closing some of them. Keep open any credit card that has a high balance (at least until you pay off the balance), a high credit limit (you need this for your credit utilization), or great rewards.